12 pages and colour photographs throughout. This title is one of a series of books introducing simple sentence structures in Samoan. This series was created in Samoa. Photographs support the reader's attempts at Samoan. 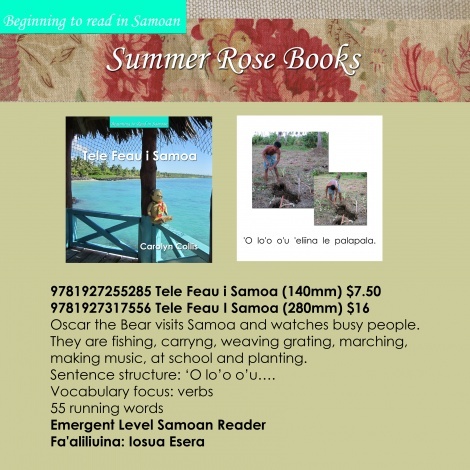 'Tele feau i Samoa' looks at everyday activities in Samoan. 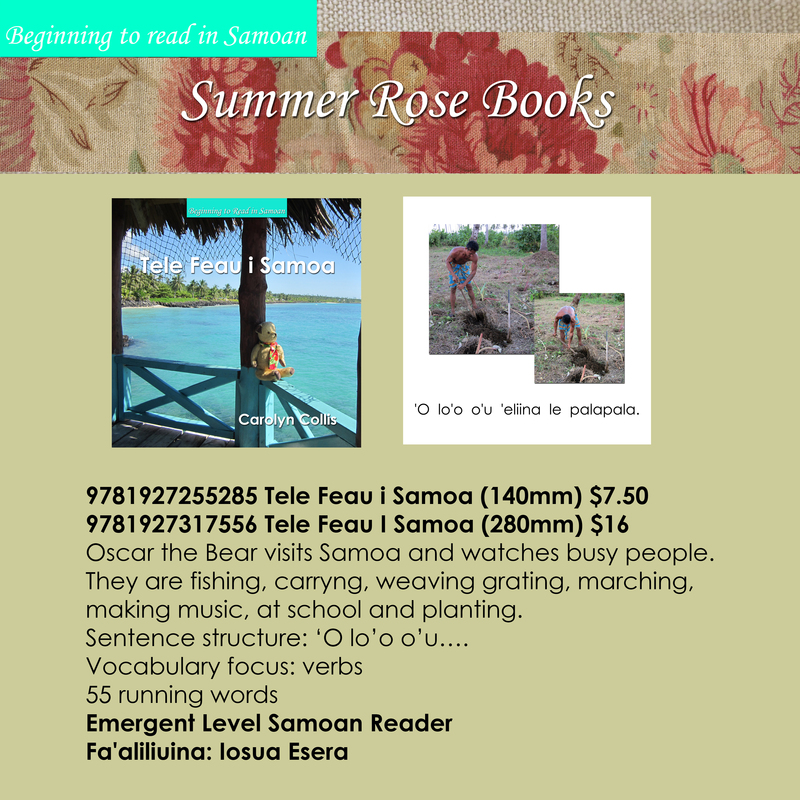 This series provides a fun way for children to learn the Samoan language, build reading confidence and improve general knowledge.